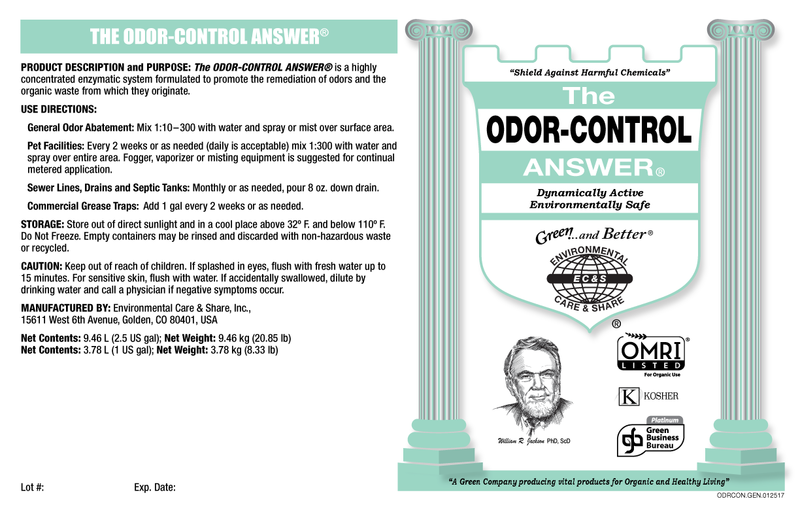 What is THE ODOR-CONTROL ANSWER® & what is its purpose? 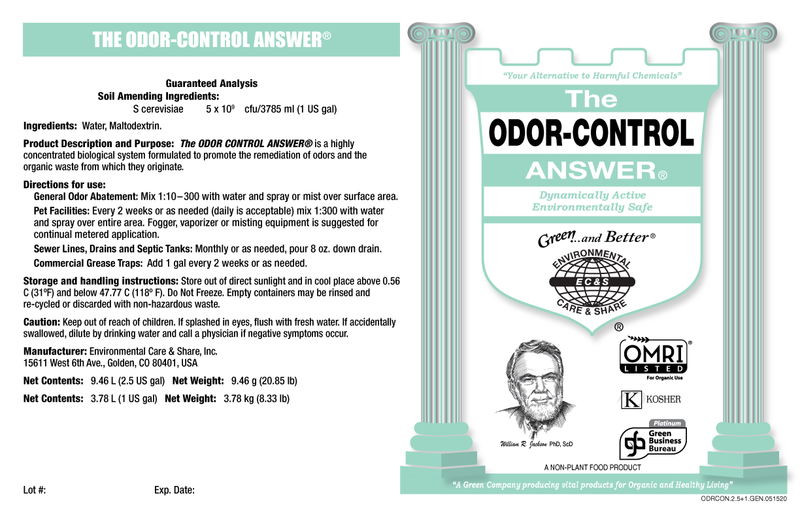 THE ODOR-CONTROL ANSWER® is a highly concentrated biological system formulated to promote the remediation of odors and the organic waste from which they originate. Not an odor ‘cover-up’ nor a desensitizer for odor detecting receptors, the aerobic microbial stimulation of THE ODOR-CONTROL ANSWER® produces oxygen that mixes with other gasses thus oxidizing the odorous gasses. THE ODOR-CONTROL ANSWER® was designed for industry-leading dependability and rapid response to neutralizing and eliminating offensive, harsh odors. 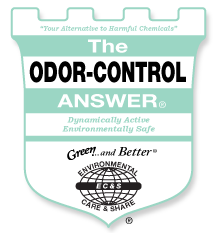 THE ODOR-CONTROL ANSWER® is an all natural, biochemical and non-toxic odor-control formula that will safely and completely remove, NOT COVERING UP, even the strongest odors. Completely safe to use around plants, animals and humans, and originally created to produce a healthier environment in agriculture for farmers, ranchers, personnel and animals, it is also effective for the common odor problems associated with food, smoke and waste in commercial and industrial facilities, restaurants, hotels, restroom facilities, etc. Results may vary based upon your properties soil, water, and weather. We ask that you complete a soil test before you apply The Answer® product line and again after each harvest to see the products impact and potential. General Odor Abatement: Mix 1:10–300 with water and spray or mist over surface area. Pet Facilities: Every 2 weeks or as needed (daily is acceptable) mix 1:300 with water and spray over entire area. Fogger, vaporizer or misting equipment is suggested for continual metered application. Sewer Lines, Drains and Septic Tanks: Monthly or as needed, pour 8 oz. down drain. Commercial Grease Traps: Add 1 gal every 2 weeks or as needed. So well balanced, The Odor-Control Answer® is able to withstand a wide range of temperatures, pH and other environmental conditions.